The province and the municipality of Groningen realized a temporary Cultural Embassy in Leeuwarden as part of Leeuwarden-Friesland European Capital of Culture 2018. NP3 is one of the art institutions that realized a project in the embassy about the impact and possibilities of water and hydrogen. Research into new forms of energy and art are essentially similar. Artists and researchers are driven in their search for a next step in development. Both encourage thinking, action and seeking opportunities for development and visibility. But there is also sometimes impatience, disappointment or tension on both of them. Waiting, waiting for the train, waiting for an answer, waiting for a download, waiting for an idea, waiting for progress, and in the end waiting for decay. Waiting always takes a long time and brings about a reaction in your body; the feeling of tension, impatience and nervousness manifests itself in the cracking of knuckles, biting of nails, grinding of teeth and chewing on pens. Why is our body programmed to process the reaction in this way? These reactions are universal, but the most iconic reaction is tapping with fingers. Artist Marit Westerhuis is a finger tapper herself and decided to turn this rhythmic action into a media installation, where she wants to confront the visitor with this universal – often unconscious – act. 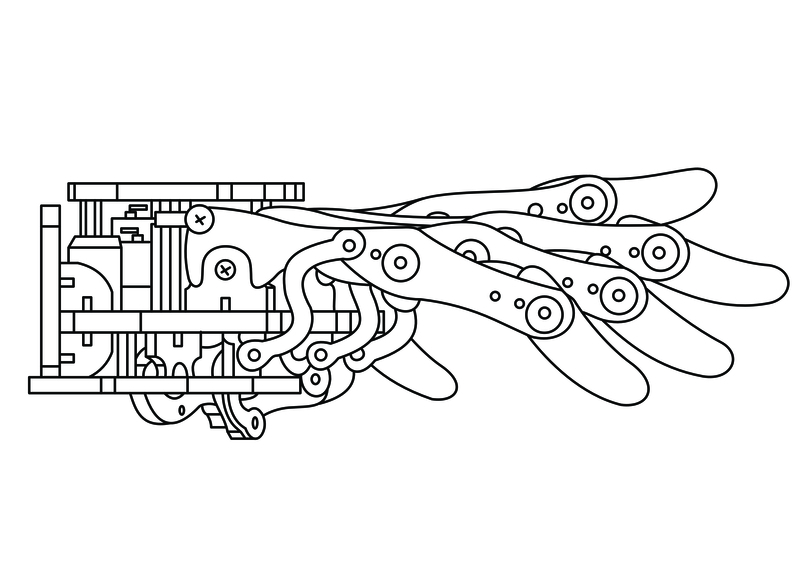 Various robot hands will make this rhythmic movement, resonating in the space. The installation is also researching the feasibility of using hydrogen technology in art. During the project the conjunction between science and art turned out to be more difficult than expected. Sunday November 18 from 13.00 – 17.00 hrs, Marit Westerhuis, in collaboration with DEOdrive, will present the results of their research on art driven by hydrogen. Marit Westerhuis studied at the Art Academy Minerva (Groningen) and the Frank Mohr Institute (Groningen). Since 2018 she is a resident artist at the Rijksakademie van Beeldende Kunsten(Amsterdam). Westerhuis uses scientific and technological methods in her work. Measured with sensors are her own body values, like heart rate, blood pressure and brain waves. She then uses this personal data as input for media installations – such as self-made drawing machines, which make abstract line drawings with this type of information. In this way, Westerhuis – at a time when we can map everything through technology – questions the way in which we look at our body and our ‘self’.